Pardeep graduated from Hull University with a degree in History. Following University she spent the next 12 years as a Sales Executive at the FTSE 100 Reuters plc (now part of Thompson Reuters) where she was principally responsible for selling Reuters Real Time information systems to City and West End institutions. She gained extensive experience in sales and marketing and won a number of sales awards during her time at Reuters. She has extensive experience in sales and marketing. Following Reuters she set up her own consultancy business, Hillside, which was subsequently transformed into a share trading and property trading business. Pardeep is a co-founder of the Sandhu Charitable Foundation which undertakes the principal charitable activities of the Santon Group and the Sandhu family. 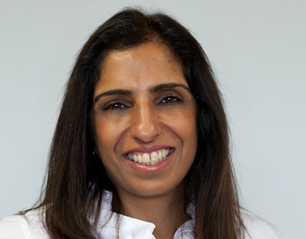 Pardeep is the Chairwoman of the Lunch Committee of The Anne Frank Trust Lunch to mark Holocaust Memorial Day. The January, 2015 Lunch raised over £420,000. Pardeep is also on the Gala Committee of Magic Bus UK and is one of the vice chairs of The Bursary Programme at Latymer Upper School.